This report is part of our Executive Briefing Service. Time was when Brazilian consolidation was a hot story in telecoms. Now, on the boom has come the crash, and no-one’s talking about how to get their paws on TIM Brasil any more. Instead, Oi has gone bankrupt, owing some $19bn to various creditors. It’s the biggest bankruptcy in Brazilian history and the first major telco to go bust since the days of Global Crossing, 360Networks and friends. The company has been trying to negotiate with its creditors for some time, but this is complicated by the fact that its shareholders don’t necessarily agree with the negotiating team, and in fact they fired the CEO on the 10th of June. More details are here and here, plus some bafflingly complicated manouevres with its African, ex-Portugal Telecom subsidiaries here. Meanwhile, ex-Googler Nikesh Arora is out as president of Softbank, and Masayoshi Son intends to stay another two years as CEO to fill in. There’s no mystery as to what might be wrong at Softbank, of course. MTN has a new CEO, plus a new VP of South and East Africa. Both are ex-Vodafone, respectively their current CEO of Europe, Rob Shuter, and Vodacom exec Godfrey Motsa. Another twist in the bizarre tale of the MVNO and the bags of cash delivered to London post offices in taxis (see here and here). Lycamobile’s French offices have been raided by the police, suspecting money laundering and tax evasion. FreedomPop is opening for business in the UK. Free Mobile has given Orange notice that its famous national roaming agreement is coming to an end. The contract provided for roaming out to 2020, but Free wants to start the shutdown process in January 2017. Zegona, the team of ex-Virgin Media/NTL execs trying to buy Yoigo, says they’ve got an agreement with the owners, Telia, and therefore they’re pressing ahead to close the deal. The only problem? There are some other shareholders. Verizon Wireless voice to or from Florida was down. Telenor has some interesting data points about voice and messaging - 94% of Serbs make a call at least once a day, while 38% of Norwegians do, but the Serbs are also much more likely to use VoIP or web-based instant messaging. A key technology for all this is so-called differential privacy, a technique that lets you do statistics on data without deanonymising it. Matthew Green’s Cryptography Engineering Blog explains how it works and the limitations. WatchOS goes into version 3. Deep integration of Siri, iCloud, and Apple Pay is a major feature of the new macOS Sierra with its new spelling. Specifically, you’ll be able to use Apple Pay on web sites within Safari. It remains remarkable just how important apps have become as a form of content. 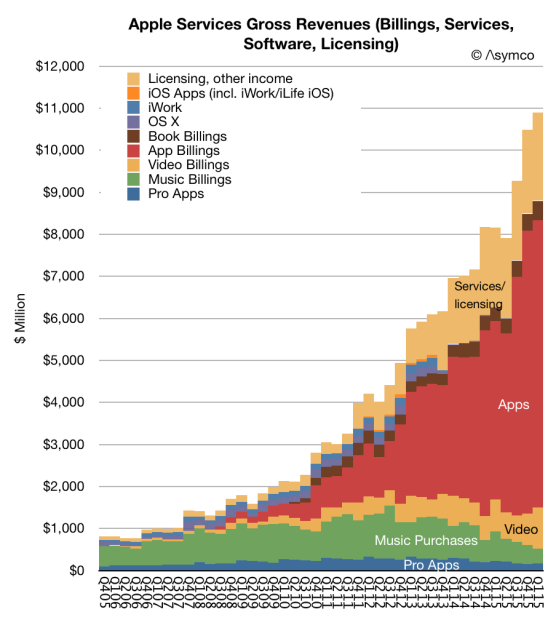 In the Apple ecosystem, they dwarf music, TV, movies, and books added together, and they’re still growing. As many as 70% of the world’s supply of developers may do at least some Apple work, and the revenue-sharing run rate has reached $20bn a year. Here’s some detail on exactly what the Cisco/Apple enterprise apps partnership does. If you had to manufacture iPhones entirely in the US, how hard would it be? Not as bad as it sounds. A Chinese company, Shenzhen Baili, says the iPhone 6 and 6S infringe a bevelled corner patent of theirs. More seriously, Huawei says it’s achieved “unprecedented” sales of the P9 smartphones. More and more Chinese OEMs are trying to escape the deflationary cauldron of the post-hypergrowth Chinese smartphone business, looking for some other market. This week it’s Nubia, a ZTE sub-brand, which is apparently targeting “high-end Europe and tech-savvy millennials in Latin America”. Apple owns about half the profit in the PC market. That bit’s probably safe, but the rest is under threat from Chromebooks now they have some apps. And Fairphone says it’s now sourced conflict-free tungsten, getting the last of the four minerals it was worried about squared away. How much economic damage do data leaks do? On average, about $4m a go, according to an IBM study, or $155 a record. The score is rising at 29% annually, but the bad news looks to be that a lot of companies can still probably afford to wait and pay the $4m rather than fix their problems. That’s until the tail-risk kicks in, of course. T-Mobile in the Czech Republic lost 1.5 million user records to an untrustworthy employee who walked out of the door with a USB stick. CIA-linked data analytics company Palantir Technologies hired white hats to try and get in. They got in. To pretty much everything, right down to their security team’s personal laptops. British MPs want to make the possessors of personal data liable if it leaks. They were responding to the big TalkTalk hack earlier this year, and interestingly enough, TalkTalk was down recently and won’t say much about why. This is an utterly weird story. Advertising giant WPP, via its digital wing Grey Group, won an award at the Cannes Lions for an app it developed that supposedly crowdsources finding shipwrecked refugees in the Mediterranean. It turns out that the app is no such thing - the supposed satellite imagery consists of stock photos and the weather report is always the same. The FBI has a facial recognition database of 411 million faces. And if you return some Netgear security cameras, their servers may start sending you pictures from somebody else’s house. Which, of course, brings us to the Internet of Things. AT&T’s assistant VP of radio, Dave Wolter, says the carrier is expecting NB-IoT to be commercially ready by the end of 2017 or maybe early 2018. This implies that, far from being a quick bolt-on to 4G, it looks like it won’t be rolling out seriously until the same sort of time frame we’re expecting the first 5G deployments to happen in. And it better happen in 2017, too - AT&T is planning to shut down the 2G network that year. Vodafone is also talking about a similar timetable, for similar reasons. This AT&T release about its next lot of IoT modems also tells us that their LTE Class 1 - i.e. 1Mbps lower power LTE - service won’t be with us until a firmware update some time next year. It seems a bit slow, though, looking how quickly LoRa, Sigfox, and other LPWA networks are getting into the field. Sigfox and its local partner VT Networks covered Ireland in eight months, and Orange has just signed up to the LoRa Alliance, suggesting that its commitment to NB-IoT might be a little thin. Senet, the former EnerTrac, says it already has 50,000 live devices on its LoRa deployments in the US. Here’s a combined 2G/LoRa sensor board. More subscriber growth in the US is now coming from cars than from people. Nokia’s fixed broadband side is offering a combined optical-network terminal and IoT/smart home hub for telcos to white-label. And 60% of the industry reckons we’re not ready for the IoT. The biggest worry is security. Hotels.com’s CIO reckons that Amazon Web Services’ lead over the rest of the cloud industry is beginning to get eroded. Microsoft, Google, and others are catching up. Interestingly, a lot more customers are beginning to use multiple clouds. Centurylink might be responding to that, using some of the money it got from selling data centres to buy ElasticBox, a cloud orchestration app for multi-cloud environments. Oracle says its cloud business is growing at a 49% annualised rate, with the PaaS and SaaS segments accelerating from 20% annual growth two years ago to 52% now, at a gross margin of 57%. They now want to get more IaaS business back from AWS and friends. 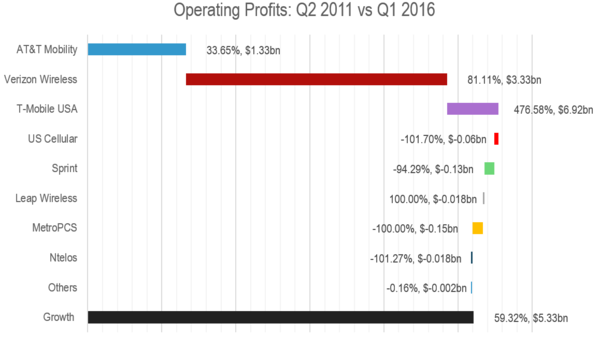 It’s definitely true, though, that the cloud is cannibalising their other businesses - revenue over the whole company was down 1% in Q2. Samsung has acquired Joyent, the node.js and container-focused cloud provider. Interestingly, the business is being integrated into Samsung’s Mobile Communications line of business, where the mobile phones and also the laptops live. This is a tell that they want it to support their mobile apps, and the division CEO points out that Samsung is one of the world’s biggest cloud consumers. Barefoot Networks is an interesting startup, providing highly programmable network switches based on merchant silicon. Here’s an explainer on the programming language used and the differences between it and OpenFlow. Netflix thinks Internet exchanges are a rip-off, according to a presentation one of their engineers gave to NANOG last week, causing a major row within the storied networking community. Project Bletchley is a new kind of blockchain developed by Microsoft Research, based in MS Azure. Here’s some detail on Intel’s plans in machine learning. Chinese entrants to Top500.org, the ranking of the top 500 supercomputers, are increasingly using their own chip designs. Amazon Web Services has a special app store for spies. And Microsoft Azure has a new channel partner - an IT shop in Los Angeles that caters to the legal marijuana industry. 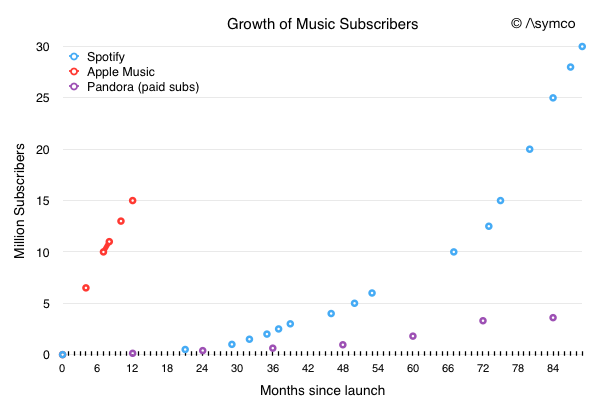 Apple Music doesn’t look much in absolute numbers, but the ramp-up has been dramatically faster than it was for any of its competitors. Horace argues that this is because streaming music isn’t exciting or new any more, and Apple’s onboarding advantage is huge. Apple, meanwhile, has extended the range of file types supported in HLS so you can use the same source files for both HLS and MPEG streaming, as well as improving Siri search for TV programmes, streaming DRM, and providing a single sign-on for TV stations so you can watch outside the US more easily. T-Mobile USA is now up to 90 content providers on the Binge On! plan. The UK exports more TV than any other country in Europe. Twitter decided not to buy SoundCloud outright a while back, but it just took $70m worth of the music platform’s latest financing round. It also bought a British AI startup, the wonderfully named Magic Pony. And Hulu’s streaming package will be $35/mo. An appeal against Title II reclassification of broadband has been turned down by a US federal court, which held that broadband Internet service is indeed a utility like power or water. Importantly, the two judges who agreed with the FCC stated that this holds on a technology-neutral basis, without a wireline/wireless distinction. The plaintiffs - AT&T and Verizon, basically - say they’ll take it to the supreme court. On another front, the FCC wants to unbundle cable operators’ set-top boxes, and the ensuing row has been bubbling under for some time. Now, the cablecos and broadcasters have taken a different tack, putting forward a counterproposal that would move the service authorisation function into an HTML5-based app. One of the regulatory conditions the FCC imposed on New Charter was that it must roll out 25Mbps-plus broadband to at least two million additional homes. This is having complicated consequences, because Charter is also restrained from further acquisitions where this would lead to a reduction in competition, i.e. where its footprint overlaps with the target’s. As a result, the FCC-mandated overbuild must target the phone companies. You might think Lawman Wheeler, the ex-cableguy and deep cynic about US phone companies, intended just that. Look out for the FCC’s proposal about the potential 5G bands above 28GHz later this week. Wheeler is hoping to hold a vote of the FCC on the 14th of July. Interestingly, lots of unlicensed spectrum seems to be a big part of the strategy. Comcast’s complaint against Verizon advertising has been upheld - VZ claimed to have the fastest broadband, and that just isn’t true since Comcast’s gigabit rollout began. Brazilian anti-trust regulators have cleared a network sharing agreement between Telefonica’s local opco and Nextel. The Euregulators are expected to issue a preliminary opinion on the Vodafone.nl/Liberty Global JV on the 19th of July. French operators have new rights to access other infrastructure systems’ civil works. 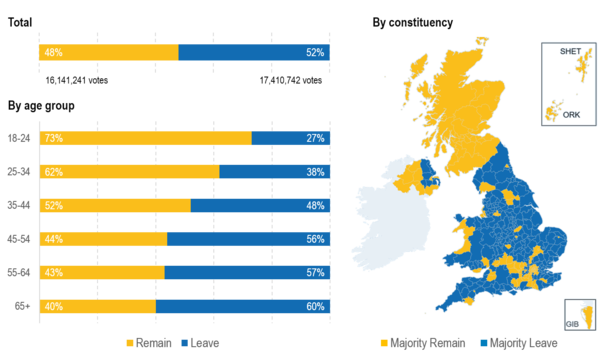 CCS Insight’s Kester Mann asks whether roaming charges would spike if the UK quit Europe. His answer: telcos would probably try, but discount MVNOs would offset it at least a bit. Nokia is no doubt even more pleased with another monster contract with China Mobile, $1.5bn worth of the new AirScale base stations. Ericsson, meanwhile, has announced a round of software upgrades it calls 5G plugins - they’re not technically 5G, but they do bring some of the enhancements expected from 5G into the LTE-A network, like MU-MIMO, beamforming, and a new frame structure for the air interface in order to reduce latency. They’re also very proud of a successful trial of 5G network slicing with NTT DoCoMo. They’re probably considerably less proud of being investigated by both US and Greek prosecutors over allegations of corruption. Fixing your VoLTE one-way audio problem. The city of Chattanooga put $225m of its own money into its muni-fibre rollout back in 2010 and it’s benefited by somewhere between $865m and $1.3bn, while its mayor reckons the investment is responsible for higher wages and more private investment, notably by Volkswagen. That’s some return. Google Fiber is heading for Dallas and a head-on confrontation with AT&T. Openreach is building a SMB-focused 1Gbps FTTP service into 9 UK locations. Meanwhile, it looks like upgrades to a startlingly small number of cabinets would let it meet its latest “ultrafast” commitments while actually delivering to a startlingly small number of people. Again. And just be glad you’re not this guy. Can leading telcos and Google build a strong enough messaging proposition to take on Facebook, WeChat, WhatsApp et al? Our latest report, “Google/Telcos’ RCS: Dark Horse or Dead Horse?” investigates. This report is part of our Dealing with Disruption stream and you can read an extract here. So Microsoft has acquired LinkedIn, for a $26bn cash consideration. Leaving aside the possibility Satya Nadella thinks he’s finally found a way to stop them sending him so much e-mail, what is Microsoft thinking? The bear case is pretty clear. LinkedIn lost $166m for 2015, and Microsoft paid a premium of nearly 50% over Friday’s closing price. The losses are getting worse, too - in Q1 2015, the company lost $17m at the operating level, which had risen to $66m in Q1 2016, putting them dangerously close to beating 2015’s loss in the first half of 2016. Meanwhile, Microsoft shares fell 2.6% on the news. Depending on whether you like total users or monthly-active users (MAUs), Microsoft paid somewhere between $60 a user and $250 a user. The deal values LinkedIn at 7 per cent of Microsoft’s market capitalisation, as much as Sky TV. Really… is it worth that much? Also, over the last two years, LinkedIn spent 16 per cent of its revenue, or 96 per cent of its operating income, paying its employees in stock. With the shares having gone from a peak of $225 to $100 after the Q1 profits warning in February, its key employees were looking at a massive pay cut unless they found a buyer. In Q1 2017, LinkedIn is due to implement new FASB guidelines that might force it to recognise more of the stock options as costs. And Microsoft is levering-up. The $26bn purchase is entirely funded with new debt, even though Microsoft has $92bn in net cash on the balance sheet. The obvious point here is that borrowing is outrageously cheap. Further, much of the Microsoft cash pile consists of the profits of its overseas subsidiaries - almost $103bn worth, gross - which it can’t repatriate to the US without paying a 35% rate of tax. Using the cash to collateralise a loan makes use of it without having to pay the tax, while the interest charges are of course tax-deductible for the US holding company. Bloomberg estimates that the tax advantage alone is worth $9bn to Microsoft. So, a big merger motivated by cheap borrowing, tax planning, and insiders looking for an exit for their unrealised stock options. What could possibly go wrong? As the Harvard Business Review points out, between 70 and 90 per cent of mergers fail. On the other hand, we can probably all think of times when just the right person’s business card would have been worth $250, and maybe much more. Nobody would say LinkedIn was the most compelling or best designed of apps. Its infrastructure engineering has a good reputation - it is an early contributor to the Open Compute Project - but Microsoft won’t lose any time porting it into the Microsoft Azure infrastructure. But the real value in it is the data, essentially a giant global business directory, the 433 million total names, job titles, CVs, and the links between them. Microsoft, famously, is a company whose key product is called Office. Its soul is in the enterprise. LinkedIn offers it not just a huge list of e-mail addresses, but a map of the corporate world. And, as our Microsoft: Pivoting to a Communications-Focused Business Executive Briefing argues, it’s a company whose revenue growth is coming almost entirely from the combination of the cloud, and communications. The Office 365 suite is tied together by Azure hosting, by its deep integration with Skype for Business, and by Sharepoint’s version-control of OneDrive documents (communication for files, if you like). Office could include details from LinkedIn profiles in meeting invitations, or perhaps better, suggest people you should include. That could go deeper, too - suggestions could be pulled into Word (“Who else should review this?”), PowerPoint (“Consider running these slides by…”), Dynamics CRM (“X has contacts with Customer Y. Contact them now?”), or even Visual Studio (“Ask an expert about this bug report…”). We covered the future of conversational commerce in our WeChat: A Roadmap for Facebook and Telcos Executive Briefing; this would be more like conversational production, the enterprise back-end to the customer-facing front-end. Microsoft has tried this before, with Yammer, and arguably with the original Skype acquisition. Yammer is an interesting case in point. Microsoft bought it for $1.2bn, a multiple of 40 times earnings, presumably in order to get at its data. However, you’d be hard put to it to show that MS got any value from the deal, certainly not $1.2bn worth. LinkedIn’s data property is probably stronger, not just because it is bigger, but because it is much more about links between enterprises and between divisions within them than about links within teams. People generally know who’s in their team. Social-graph apps’ value proposition, though, is usually that they surface non-obvious relationships by analysing weak ties in the network. LinkedIn’s data set is much richer on this score. And the literature on industry clusters is clear that a lot of the productivity boost comes precisely from the existence of a network of experts. The HBR makes an interesting point in that successful mergers are defined by what the acquirer can offer, not what it can get from the acquired. Microsoft can offer the context in which LinkedIn’s data resources can be genuinely useful, and therefore valuable. That context is its drive to own cloud-based, communications-focused business IT. The potential usefulness should be clear - as should the potential for Clippy-like annoyingness, or else creepy intrusiveness. It’s a good rule that whenever anyone proposes to run several data sets containing personal information through an object-linking algorithm, you should probably worry. Bulk-matching LinkedIn profiles with Skype, Skype for Business, Microsoft, Yammer, and other accounts is precisely the sort of thing that’s likely to throw up unpredictable compliance problems. And surfing the web of weak ties across the boundaries of corporate hierarchy may sound fun and useful, but another way of looking at it would be a serious threat to information security, the old-boy network on an industrial scale, or a great opportunity for major compliance issues in businesses like financial services or the law. What happens when Excel suggests an analyst should contact the broker on the other side of the Chinese wall? Or a trader at a counterparty? Or Visual Studio accidentally tips off a competitor as to what you’re developing? For now though, all that speculation is a little down the line. It’s always hard to tell if such deals are going to pay off although the HBR marker would suggest caution is always a good bet. Having said that, Microsoft has done good stuff in the cloud recently - even some of the staunchest MS-Haters we know like Office 365, and its done a good job integrating Skype for Business. To us, the fit looks good for Microsoft, although it potentially makes it even more challenging for telcos over time as it could be one less reason to use phone numbers - or the PSTN. It’s Apple WWDC week. First up, there’s a huge story in the semiconductor business - some variants of the next lot of iPhones will be getting their LTE modems from Intel, not Qualcomm. After years and years of trying, Intel finally has a major mobile deal and it’s the biggest it could possibly be. Also, it’s another punch in the guts for Qualcomm, especially as modems and other RF components are meant to be one of its biggest growth segments over the next five years, on a par with its push on the data centre. Told you this year would be a chip war; here’s the Huawei P9, the first of their devices with their own in-house SoC. Meanwhile, there are also far-reaching changes to the App Store afoot. SVP of global marketing, Phil Schiller, announced that all apps, not just news and media, will now be able to use subscription business models, that the app review process is being speeded up, plus some detail improvements to the discovery process such as bringing back a categories tab. Interestingly, the subscription offering skews the revenue share so as to reward developers for retaining long-term users - if you keep someone signed up for 3 years, your share goes from 70% to 85%. The point may be to help retain people in the Apple ecosystem. Developers will soon be able to buy ads for their apps inside the App Store, too. There will be one ad per page, marked as such, the copy must be identical to the non-paid App Store listing, and only App Store content will be accepted. Ads will be auctioned, Google-style, with no minimum. No user data will be released to anybody. There’s more discussion and links here and here. Will Apple start dropping support for the 32-bit iPhone 4S and iPad 2 from their next iOS iteration? It could make the iPad Pro much more attractive. On the other hand, Android expert Jake Hamby points out that making Apple software run on the old machines is a discipline that keeps their code clean and fast, while bloat is a real problem for Android. Speaking of Android, Google has just announced a new feature in Google Play that recommends apps that are relevant to your location. An interesting idea, especially with the new support for installing app components at run-time. Interestingly, it looks like you might be able to promote your app locally using a Bluetooth Low Energy beacon, as it needs both location services and Bluetooth permissions to work. Lenovo, as promised a few months ago, has launched its $500 Project Tango smartphone. Project Fi, Google’s MVNO-plus, has gained a third network partner, US Cellular. Eric Schmidt has summoned the Alphabet board to discuss whether Google Fiber should still be fibre, or whether in the light of 5G radio technology, they should pivot to a fixed-wireless solution like the ones VZW and AT&T are trialling. And it turns out Larry Page’s latest side project is a pair of startups working on a flying car, in such secrecy that employees weren’t allowed to know the identity of the “GUS”, or “Guy Upstairs” until quite recently. This sounds like something that escaped from a satire on Silicon Valley, especially as Page’s motivation is apparently to compete with Elon Musk’s rockets and get Peter Thiel to shut up about flying cars. And, it turns out, it probably is. Microsoft, meanwhile, has acquired LinkedIn for some $26bn in cash, or $250 a user. That’s pretty sharp for a company that’s losing money. Satya Nadella defends it as bringing together AI, mobile, and the cloud, but it’s by far Microsoft’s biggest ever acquisition and it’s an incredible exit for the LinkedIn founders. On a similar theme, Twitter is now on its fourth head of product in less than two years as Jeff Seibert has gone back to running the developer program. Ed Ho, senior director of engineering, takes over. Japanese messaging platform Line, famous for a business model based on selling virtual stickers, is cueing up an IPO this summer that it hopes will value the company at $5bn plus. Alternatively, it might be the World Online of the second great tech bubble. Yahoo! will tell AT&T, Verizon, and Warren Buffett’s consortium today that they’re into the second round of bidding for the company. And Thomas J. Perkins, founder of Kleiner, Perkins, Caulfield & Byers, the Silicon Valley venture capital firm that defined Silicon Valley VC firms for good or ill, has died at the age of 84. A full obituary is here. The latest effort by Oracle to appeal the judgment in Google vs. Oracle has been thrown out, but they’re still going to take it to a higher court. Four Cisco SVPs, essentially the board of a starup they acquired in 2013, are quitting. It’s not surprising, given poor PC sales, that Dell’s Q2 was nothing special. It is impressive, though, that precisely the consumer PC division (Client Solutions) managed to squeeze out a 76% jump in operating profits although revenue was down 3%. Does anyone actually want a bendy screen? Qualcomm has a reference platform for connected cars. Mycroft is an open-source voice-based assistant based on Ubuntu Core. And here’s a problem. The Alliance for Open Media is trying to develop an open-source video codec free of any third-party IPR claims, and it’s making progress. But neither Apple, nor Samsung, nor Qualcomm is on board even though ARM is. Salesforce is trying a push to recruit even more developers (it already has 2.8m registered devs, 5.5m apps, and 3,000 SKUs in their app stores). The point is to ward off the threat from the Apple partnerships with SAP and IBM. The means include a range of new tools and a $50m VC fund. One of those tools is Runway Systems, a browser-based app to help you model, visualise, and test distributed systems. It looks very cool. A new forecast suggests that the “massive-scale cloud”, i.e. companies like Amazon Web Services, MS Azure etc, ran about $11bn in revenue in 2015 and will reach $120bn by 2020, growing significantly faster than the wider cloud industry. Another estimate puts public cloud revenue at $20bn/qtr as of Q3 2015, against $29bn/qtr for data centre infrastructure overall, and says Microsoft has 40% of the “cloud infrastructure software” market, although this might not be so meaningful as so much of this is unpriced open-source software. HPE has just announced its first dedicated mobile edge computing products, the Edgeline EL1000 and 4000, servers optimised for IoT analytics applications. Diffraction Analysis notes increasing interest in “edge” or “regional” data centres, and the associated need for denser dark fibre networks. Probably don’t build a data centre in the UK if your business involves processing EU citizens’ personal data or finances. The phones at Interxion, KPN, and Hibernia Atlantic are probably red hot at the moment. Apple is building one in Galway. DTAG’s wholesale division has signed up Nexmo to provide wholesale application-to-person messaging. AT&T is working on its metro-Ethernet interconnect portfolio as a cheaper way to port the 3,500 TDM interconnects it has around the US. Reliance Comms and Aircel may be closing to finalising a merger, with the agreement expected to be ready in July. RCOM would spin off its wireless assets as a new company, which Aircel would buy, leaving the two partners hokding 50 per cent each. Before that can happen, though, RCOM has to close the deal with Sistema, which is meant to contribute its own Indian mobile network and use RCOM’s money to buy back into the joint venture. The Euregulators have taken another 15 days to think the 3 Italia/Wind deal over, and you probably wouldn’t give much for its chances these days. In an effort to save it, CK Hutchison has been touting the possibility of selling off enough spectrum to start a new mobile network in Italy; bidders include Fastweb, Denis O’Brien’s Digicel, and intriguingly, Xavier Niel. But who spends €20bn on a mobile network and immediately invites Xavier Niel to rip its business model to shreds? Altice CEO Patrick Drahi says he wouldn’t promise the French market will be like it is now 10 years hence, but he’s certainly not expecting any consolidation soon. The bidding process for Yoigo is getting tense. Zegona, the team of ex-Virgin Media execs, has apparently told the seller, Telia, that it wants a deal or nothing within days, fearing they’re just being kept around to drive up the price Masmobil’s offering. Masmobil is willing to go up to €700m, but it’s not clear how they’d fund that. Zegona has stuck at €550m, but Goldman Sachs is good for the money. And Telstra is apparently interested in the potential privatisation of Vietnamese operator Mobifone. Reliance Jio inches closer to an actual launch of its 4G network. There’s a website now, and small numbers of own-brand phones with their SIMs have gone on sale. It’s still a large-scale trial, though, rather than a commercial launch. Meanwhile, the 3G and 4G subscriber base in Pakistan has doubled in nine months. Sprint is apparently struggling to get planning permission for more shared-pole installs. (See here for why that might be problematic.) Some people are keeping the faith that the 2.5GHz will come good, and apparently the latest new idea is trying to get the FCC to let them turn up the maximum Tx power levels. Here’s some useful context about small cells from the CEO of Zayo, who provides fibre for a lot of the little chaps. T-Mobile’s “Uncarrier 11” announcement turns out to be basically 100% fluff. If you want to know about the substance behind T-mobile’s success, though, you might try our new US Wireless Market research note. The 3G, 4G, and 5G Wireless Blog links to a useful AT&T presentation on their 5G plans. The test campaign in Austin will indeed include mobile as well as fixed wireless, but they are sticking by a 2019 target for Phase 2 standards, although they offer some leeway for deployments ahead of a standard. Nokia, Intel, Ericsson, and Fujitsu are making a joint bid for the US’s FirstNet single emergency services network. Interestingly, it will need a major wireless carrier to act as interconnect partner. An FCC consultation is out on the emerging issue of whether the auto industry should let WiFi into the 5.9GHz band, and whether the WiFi users next door in 5.8GHz should have to take special precautions to protect the autos. Both T-Mobile and AT&T have marketing initiatives themed around thanks, but only AT&T is being sued by Citigroup, which claims to have a trademark on the phrase “Thank you”. As long as the banks are around, telecoms won’t be the most hated industry. Not surprisingly, the 3UK CEO thinks OFCOM should restrict how much spectrum BT owns. BT’s EE division, meanwhile, has announced a new small business tariff providing unlimited voice and texts and 15GB of roaming data a month throughout the US and the EU. No surprise, then, that the company plans to publicly warn against the risks of Brexit. Vodafone UK is offering to replace lost or stolen phones within 4 hours of an insurance claim. TalkTalk’s fixed-mobile convergence app stopped working after the big hack, and has never worked again although it’s mentioned in their customer retention call-centre script. Tesco Mobile is the latest operator to try the “watch these ads and we’ll give you a discount” trick. Vimpelcom is paying Ericsson $1bn to re-do its IT systems. Vodafone is deploying 50 more LTE-A networks in Germany, and selling half its New Zealand OpCo to Sky. Here’s an interesting interview with Telefonica R&D’s Ignacio Berberana on 5G. KPN says it’s not ruling out NB-IoT…but it is deploying LoRa nationally. And MTN has come to an agreement with Nigeria over the famous $5bn fine. They’re going to pay $1.67bn in full and final settlement, less the amount they paid up in advance. Comcast kicked off the second wave of DOCSIS 3.1 gigabit cable rollouts, with an “advanced user trial” in Nashville. This means, in practice, that you can get the service for three years at $70/mo, which sounds like a steal. Chicago, Detroit, and Miami are targeted later this year. Meanwhile, AT&T announced that its gigabit FTTH is coming to parts of El Paso and San Diego. Here’s a deep read on Verizon’s $300m FiOS build in Boston, especially on how they’re planning to use the investment for wireless backhaul, enterprise services, and public sector applications as well as residential FTTH. Huawei claims it has the first cable access platform that supports 10Gbps both in cable and in FTTH. Starman, the biggest cable operator in the Baltic states, is deploying 10Gbps GE-PON FTTH using Nokia technology. Altice claims it’s tested 3Gbps per subscriber over DOCSIS 3.1 with the Cisco CBR router. Vodafone just upgraded its German cable network to 400Mbps. And Virgin Media has announced the next two Project Lightning FTTH rollouts. MySpace, LinkedIn, and Tumblr have all been hacked within the last few weeks, exposing 600 million user acounts including Mark Zuckerberg, whose password was apparently “dadada” and whose LinkedIn, Instagram, Pinterest, and Twitter accounts were taken over. The weirdest thing, though, is that we now get fake data leaks as well as real ones. Although Twitter itself wasn’t hacked, numerous users’ PCs were, and as a result you can get huge Twitter data leaks too. You might think it would be a good time to sell a security company, and you’d be right - Symantec just bought Blue Coat for $4.65bn. Will the Internet of Things be an intelligence goldmine or a security nightmare? The NSA answers: yes. Because, after all, they’re the same thing depending on your point of view. Impressively creepy startup lets landlords mine their tenants’ data. Anything you say may be taken down and used against you, in a targeted advert. Like so? The “snoopers’ charter” is finally law. Spoofing navigation apps to get rid of the traffic. A simple security exploit: dress like an Apple Store employee, walk off with $16,000 worth of gadgets. We’ve published “US Wireless Market: Early Warning Signs of Change”. This report is part of the Teclo 2.0 Executive Briefing Service and you can read an extract here. Why won’t Apple let you watch Amazon Prime video on your Apple TV? Why won’t Amazon sell you an Apple TV? Well, it’s because Apple wants its full 30 per cent App Store commission on any Amazon sales on their platform, and Jeff Bezos won’t have it. This is important, as the Apple TV is creeping up on the market - Apple is now the third set-top vendor after Arris and Technicolor, selling about 10 million boxes a year. An icon of the business, TiVo, is gradually turning itself into a software licensing company, but the transition is difficult as the margins on hardware were rather nice, something Apple knows in its bones. That said, it’s still selling well to cable operators. Rovi, the company that’s buying TiVo, is both suing Comcast over patents it claims are violated by the X1, and also being countersued. 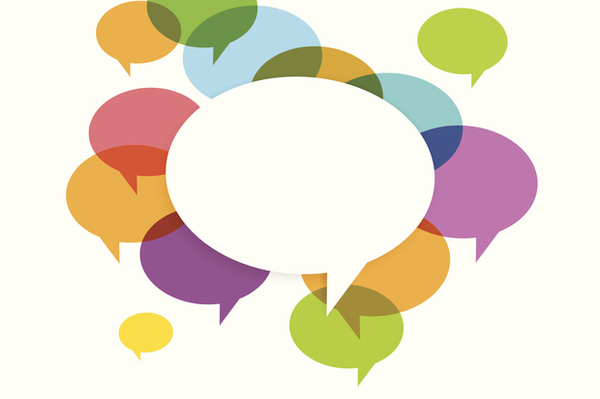 ETSI is opening a working group on convergence between mobile and broadcast networks. The latest bidder for Yahoo! turns out to be….Twitter, although not so much that the CEO bothered to attend the meeting. Here’s an interesting presentation on the state of the digital advertising market. It’s pretty bad, and very telling that VC funding is sharply down while M&A activity is up - in other words, there’s a dash for the exits. New sources of investment include telcos. Now, is that a contrarian masterstroke, or are they showing up just in time for the VC industry to unload its bad investments on them? Facebook’s Notify app, which was meant to bring you push notifications from 70-odd major businesses, is being shut down. It therefore joins a long history of abandoned Facebook projects, as this long read on Facebook vs Google Plus points out. Publishers are worrying that Facebook might have made a change to the news feed algorithm, as measures of reach from the feed are sharply down. Does anyone else think Softbank is getting overcommitted to its Sprint deal? Here’s the latest solution to Sprint’s financing needs: sell the Alibaba stake, or at least a big chunk of it. 4.2% of China’s biggest e-commerce platform is up for grabs, valued at $7.9bn. At current rates, that would cover four years of Sprint’s losses. Softbank says they’ll use it to reduce debt, but seeing as Softbank is a major creditor of Sprint’s, reducing the combined group’s debt amounts to much the same thing. They intend to cling onto the rest of the Alibaba stake; Jack Ma will stay on the Softbank board and Masayoshi Son on the Alibaba one. But you do wonder if they might not be tempted to make a move when the next spectrum auction, horrible net-adds quarter, or heavy debt rollover comes around. Analysts Gabelli & Co reckon they might even be tempted to sell a whole lot of Alibaba stock and buy T-Mobile, like they should have done in the first place. Alternatively, and perhaps more likely, they see potential for a mobile-cable deal, with one of Comcast or New Charter making an offer. The latter would be more palatable from a regulatory point of view. Or we could have another go-round of DISH trying to buy a mobile operator. Speaking of DISH, the 3GPP has signed off using their 2GHz spectrum for mobile, and they’ve assigned all of it for downlink. Now they just need some devices, infrastructure, and a business model for mobile TV. Strategy Analytics reckons there is no sign of fixed-mobile substitution in US broadband, but all the growth in fixed is coming from the cablecos, with Comcast and New Charter sharing 91% of total net-adds. US fixed broadband is now 62% cable. We’ve previously published this research note about Triple Play in the USA, and this one about gigabit cable. AT&T is increasingly focused on prepaid, and it’s just signed up another 3,400 shops to sell Cricket Wireless service. And here’s an absolutely critical blog post from Akamai. Measurements taken from their CDN show that moving to IPv6 gives a latency boost of between 10 and 20%, and an even greater reduction in the long right tail of high-latency events. The effect is concentrated in wireless, on the top 10 Web sites, and is more marked among Apple users - to put it another way, it’s concentrated on the retail postpaid smartphone users and the big applications everyone cares about. Guess which US wireless operators have the most IPv6 adoption? It’s also worth knowing that T-Mobile is IPv6-only, 100% IPv6, for Android users. This may well be why they did better than any other US operator on our MobiNEX metrics, and why they keep crushing it. Both IDC and Strategy Analytics have been staring into the scrying-glass this week. And the result is: don’t count on much smartphone volume growth. IDC revised its prediction for 2016 down from 5.7% to 3.1%, SA down from 7% to 4%. Interestingly, Android is expected to gain market share while this happens., The big problem appears to be China. Also, IDC expects a drop of almost 10% in tablet shipments. So, obviously the moment for a new entrant into the Chinese OEM market. Indian Android-maker Micromax says it’s keen to expand internationally and China is the first target. Meanwhile, Xiaomi is telling anyone who’ll listen that its plan to survive the end of hyper-growth in China is to go international. The OEM space looks crowded as hell, no? Microsoft can’t get out of the smartphone business fast enough. It’s just sold - not licensed, outright sold - 1500 mobile-related patents to Xiaomi, which has also agreed to ship the MS Office and Skype apps on its devices. This saves Xiaomi potential bother with the courts, and of course it gets Microsoft a nice chunk of Chinese distribution. There’s no mention of a price. It looks like the constant drum-banging for Windows 10 is working - adoption is up sharply. That said, the Edge browser isn’t doing anywhere near as well. Meanwhile, the company has decided to make the operating system for the HoloLens available for third party manufacturers and developers. If you take one of those Cricket Wireless prepaid plans, you might well get one of these Lumia 650 phones. PhoneScoop’s review is positive but you’d surely wonder how long MS will support them. Estimates of WLAN infrastructure shipments suggest that 802.11ac Wave 2 technology is being adopted rapidly, more like 4G than 3G. Intel does a lot of this stuff, and there is a lot of commonality with 5G, so perhaps that’s why CEO Brian Krzanich says “we are the leaders in 5G”? After last week’s Nokia announcement of a network-in-a-rucksack, Vodafone UK and Ericsson are deploying “suitcase-sized” 4G nodes in London. And the third regularly scheduled update to the new Vivaldi web browser is here, letting you define your own gesture commands. ARM Holdings’ CEO, Simon Segars, thinks it is going to break through in the server/data centre market in the next two years. It has about 1 per cent at the moment, but there is feverish activity around ARM-based servers and both Google and Qualcomm are interested. Also, Alibaba is spending $1bn with NVIDIA on ARM-based machines. Making an impact on the cloud is important for ARM if the reduced smartphone forecasts are true. That said, IDC reports a 3.6% decline in server sales for Q1, the first for two years. Hyper-scale Web companies didn’t spend as much as expected, while nobody wanted a new mainframe (!) ahead of a refresh of IBM’s system-z product line. OpenSwitch, the open-source project to develop an operating system for data-centre switches that HPE, Intel, Broadcom, Arista Networks, VMWare and others began last year, has been accepted as an official Linux Foundation project. They may also have LinkedIn as a customer; the company is evaluating it as part of their open-source switch project. IEEE 802 has started the next round of Ethernet standards projects. They aim to develop physical layer specs for 25, 50, 100, and 200Gbps Ethernet, and increase the range of the existing 25Gbps. AT&T is hoping that its SDN capability will help it compete for business Ethernet customers with the cablecos. It’s also given a bit more detail about the ECOMP open-source SDN and NFV platform, and is very pleased with the way Domain 2.0 has scared the vendors. Ciena saw growth of 30-40 per cent after it signed up 15 more telcos in Q2. It says Verizon is buying a lot of 100Gbps optical kit and the revenue from that will flow later in the year. Salesforce has dropped $2.8bn buying e-commerce SaaS provider, Demandware. It plugs a hole in the product line, but it also means they paid 7.3x Demandware’s annual revenues. Toppy! Meanwhile, Salesforce is moving the bulk of its operations into Amazon Web Services’ cloud. Microsoft is looking at restructuring its sales operation to move more cloud. An interesting contrast between clouds. Facebook has, like a lot of companies, been concentrating on more and more low-end, low-power microservers and highly distributed applications. EBay, on the other hand, is using extremely power-dense racks, and cooling them with water, using a system developed by Dell. Gervais Pellissier, CEO of Orange Europe, says he’s given up on European consolidation after the Euregulators’ ban on 3UK/O2. He’s also keen to play down 5G and play up the other kind of fixed-mobile convergence, i.e. carrying the heavy traffic on FTTH and WiFi. That said, perhaps there’s scope for some excitement around mobile/cable mergers? Reuters covers John Malone’s visit to Europe, and points out that he likes the idea of a Vodafone-Liberty Global deal, but doesn’t at all like the fact Vodafone would probably end up in charge and Vodafone shareholders wouldn’t accept him trying to control the combined company with a small personal stake via a funky capital structure. Vincent Bolloré, CEO of Vivendi, has just bought a telco, Telecom Italia, appointed four of his execs to its board, and forced out the CEO. However, he says, he doesn’t want to be an operator and sees it as part of a content strategy. OK then. The European Union’s vice-president for growth, Jyrki Katainen, says the union must speed up its procedures for standardisation, notably in 5G. The project will report back in 2019. OFCOM has done a survey of LTE-A performance in London. Results are no surprise - EE’s doing best, O2 worst, and 3UK seems to have some sort of magic for YouTube HD streams. The next UK spectrum auction, covering the 2.3 and 3.4GHz bands, is coming up and 3UK is worrying that BT/EE will end up with even more spectrum than it already has. As a result, they want OFCOM to do something. We cover the issue in some detail here. Although BT is a mobile operator now, it’s keeping the BT Mobile MVNO, and it has new tariffs here. Here’s something frankly bizarre. BT Openreach customers in Chelsea are going to see significantly worse service, as their copper line runs are about to get longer. The reason is that the Chelsea telephone exchange site is worth too much money, and BT wants to cash it in. The lines will be rerouted from the pavement chambers outside to South Kensington exchange, hence the longer copper. Perhaps that’s why the manufacturing industry lobby thinks Openreach should be carved out of BT and even nationalised, in a “Network Rail” model. Russian Facebook-clone VKontakte has lost its whole user database to hackers, who are selling 100 million out of the 171 million accounts for the princely sum of one bitcoin, or $580. An Internet worm is attacking Ubiquiti Networks’ AirOS WiFi routers, targeting a file upload vulnerability that lets it overwrite the administrator username and password. Whole wireless ISPs have been taken down. The vuln was patched last year, so anyone who has Ubiquiti kit in their network really ought to update now. You can log into the Mitsubishi Outlander car over its own WiFi, and the WiFi key is in the owner’s manual. Having done so, you can unlock the car and disable the alarm. Weird story: professor denies having said Facebook listens to nearby conversations, rumour goes viral anyway. Policemen really like Google’s location history feature. If you turned it on, that is. Facebook wants to start showing its own ads on third-party websites, so things you say on Facebook will follow you around the Web. You can turn it off here. Meanwhile, it turns out to be surprisingly easy to disguise the real target of a link in a Facebook ad, and an obvious attack vector for all sorts of mischief. Here’s another example of why you should care about privacy. It turns out US cable operator Cable One tried to reduce its bad debt provision by classifying its customers by credit score and offering some of them deliberately awful customer service. Harold Feld points out that although this is just about legal, the proposed FCC Broadband Privacy rules would ban it. Even though Cable One doesn’t disclose the information to anyone else (that we know of), it’s still discriminatory (and creepy). Tor developer, and key Snowden supporter, Jacob “ioerror” Applebaum, faces grave allegations of sexual harassment. It turns out British parliamentarians’ e-mail is routinely read by GCHQ, in violation of the so-called Wilson doctrine. And Huawei’s Chief Privacy Officer (we didn’t know either) is worried about the Internet of Things. Nest Labs CEO and founder, Tony Fadell, is leaving, two years after the Google acquisition. He is replaced by Marwan Fawaz, former CTO of Charter and EVP of Home at Motorola Mobility. Meanwhile, the smart hubs made by Revolvr, a company they acquired in 2014, are going to be deliberately shut off and the users aren’t happy. Ericsson’s Mobility Report is out, and the mourning continues for the vision of 50bn connected devices by 2020. They’re now only forecasting 1.5bn cellular connected devices, and 14.5bn on LPWANs, WiFi, and the like. Strategy Analytics, meanwhile, which seems to have been clearing the publishing queue this week, says it expects the IoT to reach 11% of the total world IT spend by 2025, for a market size of $550bn (implying world IT spend of $3.5tn). LoRa platform Actility has a new CEO, while Sigfox is deploying in its 19th country, Finland. Qowisio is a French IoT network operator that covers devices for €0.10/mo, compared to typical numbers closer to €3/mo for cellular options. The technical solution is a choice of LoRa or a different ultra-narrowband radio. They claim to have built 29 private IoT networks with 100,000 sensors. French regulators are holding a consultation on opening up new low-band spectrum for LPWAN applications. At this rate they might need it! China Mobile and China Unicom are both doing large-scale trials of NB-IoT, apparently using the GSM/PCS bands.